Twelve is an awkward age. You’re at the cusp of your teenage years, you’re scared, you’re excited - and totally unprepared! Especially for girls, this age can often turn out to be nightmarish. Why? Because of one word - PERIODS. Studying in the seventh standard in a co-ed school, twelve-year-old me was so absolutely under-prepared for a visit from Aunt Flo! I had a weird stomach ache that entire morning, which I’d tried to ignore. I even took part in the PT class that day and played some basketball with friends. Just after lunch break, however, I felt something warm down there and froze in my seat. I’d heard girls my age talk in hushed voices about “menses” - a scary process that begins with a warm, bloody discharge and is accompanied by pain and cramps. 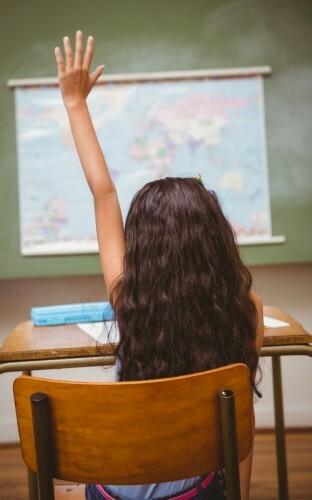 After what seemed like ages, I mustered the courage to interrupt the teacher and asked to be excused. She was probably a bit worried when she saw my petrified face because she didn’t hesitate to give me permission to leave. As I stood up to walk out, I heard distinct gasps from people seated behind me. I didn’t know what they were reacting to, but I felt embarrassed nonetheless. My cheeks flushed as I made a run for the door. Once I reached the washroom, I turned my skirt around and saw that there was a BIG, red stain on it. I was overwhelmed and began to cry. A deep shame started to flow through me - everyone in class had seen this blood stain. Just then someone knocked on the door of my cubicle. It was my best friend and desk partner, Sunita. She consoled me and explained what was happening. She led me to the infirmary where the school nurse handed me a sanitary napkin and taught me how to use it. She then called my mum. That evening mum and I sat together and cried - I cried because I was traumatized and she cried because she hadn’t prepared her daughter for the trauma. I wanted to quit school and never have to show my face to anyone ever again. Mum hugged me tight and explained to me that these are natural things which one shouldn’t be ashamed of and that it certainly wasn’t reason enough to quit school! This was almost ten years ago but I still shudder when I remember this incident. While growing up, it was always difficult for me to be ready for my period because I couldn’t remember my dates. And I always hated it when it arrived all of a sudden, with no prior warning. And so, for the longest time I struggled with it. I’d regularly stain myself (and more often than not, in public spaces). While I know it is nothing to be ashamed of, it is something I’ve been trying to avoid. I would carry a pad with me at all times, and I’d carry a bag so big it would usually come in handy when I had to hide unexpected spotting. But I’ve been using a period tracking app called Clue, which is slowly making life easier for me. It happened on the metro when I was heading back home with my colleague and she saw me in discomfort. My period had arrived and not only was I having painful cramps, I was not even carrying a pad and I risked staining myself again. We got off at the next station and I borrowed a tampon from her. While making small talk at the office water cooler the next day, she told me about an app she uses. Clue is a simple app in which I put in information like the approximate length of my cycle, number of days I usually have my period for and the dates of my last period. 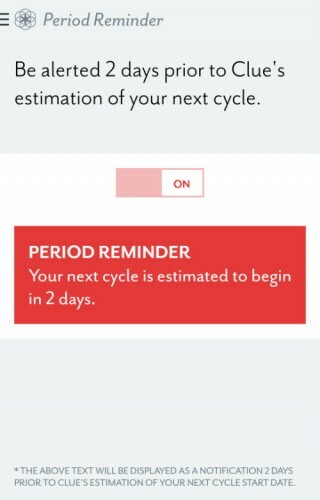 According to this info, the app calculates when I might PMS and when I can expect my next period. It even has reminders in place for people like me with the memory of a goldfish! It is easy to use and I’ve had less frequent unexpected visits from Aunt Flo in the recent past. I wish I had something similar when I was in school because every time I think back to that moment, I’m left cringing. Even though my first period was a total nightmare, I’m really thankful I had my best friend to help me. Now thanks to this app, I can keep a tab on my cycle and never have to be rudely surprised again! *This is a sponsored post for Clue. Download the app here. 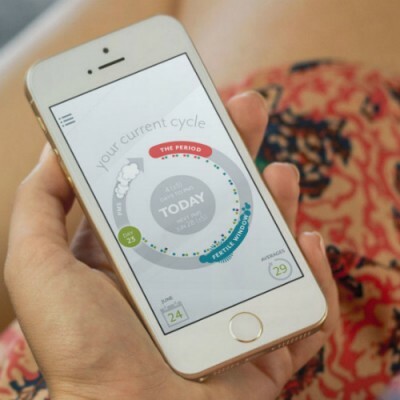 Meet Clue - a period-tracking and fertility app. When you're busy with life, Clue reminds when your next cycle is predicted to start. It's handy to get a heads up and never be surprised again. You'll also find out which exact days you're more or less likely to get pregnant. There's a reminder for your fertility window too. And you can track your pain, emotions, sleep, weight, temperature and much more to get to know yourself and your body better.